As a matter of principle, service providers that have a chance to receive fiscal gain on the same transaction should not refer one-another due to the potential for conflicts, inducement, and misrepresentation. With that being said, many real estate agents refer specific inspectors or inspection companies as a result of a working history wherein the inspector or company has proven to be reliable, honest, and objective on the inspection buyer’s behalf while showing no “favoritism” towards the referring agent. Conversely, there is a “dark side” to agents referring inspectors. If the agent asks the inspector to intentionally perform a “soft inspection” (that is, to falsify an inspection report for the purpose of causing a sale for the agent), then the agent has violated the inspection buyer’s trust. At the end of the day, the question of “ethics” falls squarely on the shoulders of the inspector who performs the inspection regardless of who “referred” the inspector. Of course, the reality is that many inspection buyers ask their agents to refer a trustworthy inspector if for no reason other than it saves the inspection buyer from having to perform hours of research to hire someone they don’t know or fully trust. Should you ask your agent to refer an inspector, find out if the inspector paid to be endorsed by the agent or agency (such as having paid to be on a Preferred Vendors list). In some states, it is actually illegal for agents to charge inspectors to be promoted or for inspector to provide any type of inducement (cash or gifts) to be endorsed. There is nothing “unethical” with a real estate agent suggesting that you use any service provider. Which inspector you choose is still your decision to make, so do your research regardless of which inspectors your agent suggests. The inspector works for YOU, not the agent. There is no such thing as one association making inspectors “better” than their competitors. Each inspector is required to meet a minimum set of standards set-forth by their association’s Standards of Practice and/or Code of Ethics. All major state or national inspection associations require Continuing Education, too. Most association SOPs and COEs mirror one-another’s. Keep in mind that inspectors come from all walks of life. Some were involved in the construction trade for many years while others are licensed engineers. Some worked in Information Technology while others were pest control technicians. 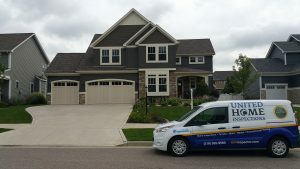 What’s important is that the inspector you hire is properly trained to inspect your property, has proven experience, is endorsed by actual clients, and carries the appropriate insurances, licenses, and certifications to do the job they advertise. In short, being an “association member” and a “great home inspector” are not mutually exclusive. Even so, inspectors who belong to recognized state and national associations receive ongoing educational opportunities that many non-association inspectors may neglect or not even know about. We are a member of The National Association of Certified Home Inspectors (NACHI). The term “deal killer” refers to inspectors whose findings, after an inspection is performed and reported in writing, motivate a real estate buyer to avoid moving forward with the transaction. This is usually the result of making a bigger deal of the smallest issues than is necessary. Of course, no inspector can know what findings will result in “killing” a deal as the decision to buy, or not, ultimately belongs to the client. Sometimes, a deal can be “killed” by the seller not being willing to fix something or the two agents not being able to negotiate terms between their clients. Contrary to the negative nature of the name, the “deal killer” inspector is gaining popularity as the buyer’s inspector-of-choice due to their attention to details and protective nature towards their clients. Many buyer’s agents are beginning to show a growing appreciation for “deal killer” inspectors as such inspectors help agents to avoid potential liabilities associated with the transaction. The inspection report is extremely important as it represents the inspector’s findings in printable form and provides the client with a permanent record of the inspection. In short, the report is the record of the inspection. Different inspectors use different methods to generate reports. Some inspectors literally write their reports in pencil while others may use a checklist form. In today’s modern era of portable computing, many inspectors are migrating over to generating reports using sophisticated reporting software which allows photos to be inserted into the report and comments to be generated quickly from extensive internal libraries. 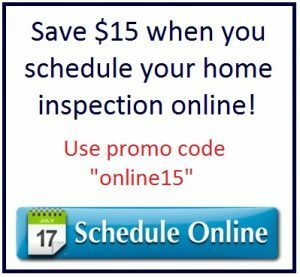 The average home inspection takes between two hours to four hours to perform. Of course, this IS entirely dependent on the building’s size and age, the type of inspection being performed, the equipment used by the inspector, and what the inspector includes as part of their inspection service.